We are pleased to announce that Katie Orr has joined the Zinn Education Project staff as Communications Manager, filling the position held by founding project staff member Lauren Cooper for the past 10 years. Katie is responsible for press inquiries, public outreach campaigns, social media, website updates, print materials, conference exhibits, project planning, materials production, program administration, and more. Katie is a public historian and history communicator who grew up in the Harpers Ferry, West Virginia, area west of Washington, D.C. She earned a B.A. in journalism from Marshall University in Huntington, West Virginia, and a Masters in U.S. History from The American University, in D.C.
Before joining the Zinn Education Project, Katie was a National Park Service historian working to promote inclusive K–12 education at national parks and expanding the scope of narratives told by the National Park Service. Her work included Teaching with Historic Places and Telling All Americans’ Stories. We first met Katie when she arranged a meeting for the Zinn Education Project team with the National Park Service to discuss collaboration on our Teach Reconstruction campaign. Her work in Reconstruction history includes a National Park Service teaching resource about 19th-century activist Mary Ann Shadd Cary, and her own Masters research, which delved into how the patriotic symbols most Americans would recognize today were popularized during the 1876 Centennial to promote white nationalism. I look forward to working with the Zinn Education Project where I can continue to emphasize underrepresented and marginalized perspectives. I am interested in national conversations about identity and geography, education policy, and the healing power of relevancy in history. 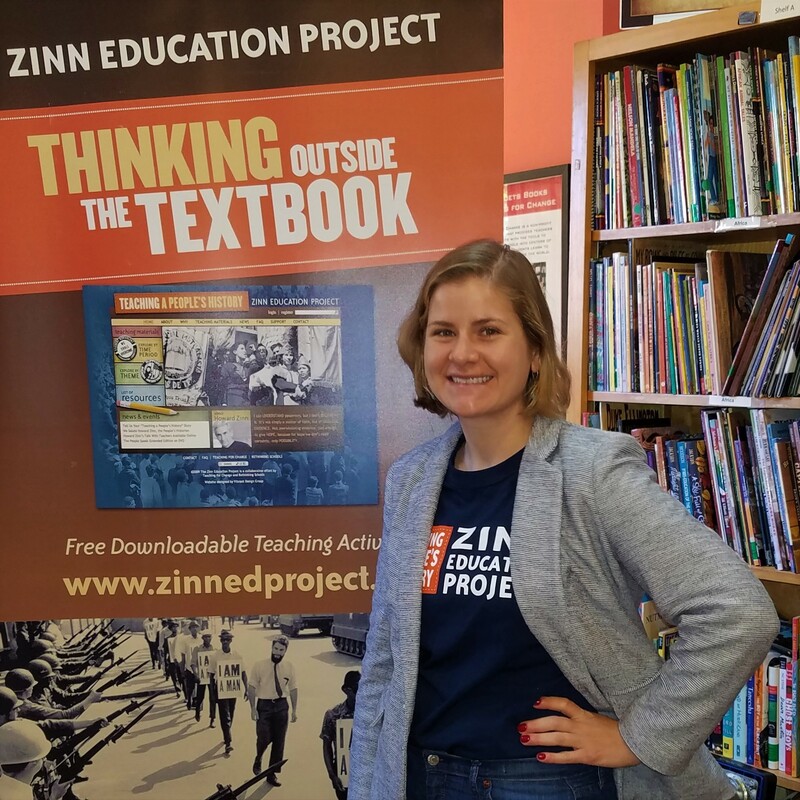 Katie joins the team of staff from Rethinking Schools and Teaching for Change, the organizations that coordinate the Zinn Education Project. Katie is working from the D.C. office of the Zinn Education Project (at Teaching for Change) and can be reached via email.